product failure analysis and technical consulting services." For nearly 50 years ATA Associates has been one of the nation's leading providers of accident reconstruction and forensic engineering services. In the course of working over 6,000 cases and investigations, we have also evolved into a top flight source for comprehensive transportation and product testing and analysis. The "Toolbox" is a detailed overview of 45 years of accident reconstruction and forensic engineering projects performed by ATA that is divided into reconstruction categories. It is a "one stop" web page that while informative and educational,also serves as a guidepost to our visitors as to how ATA may be of service to them. 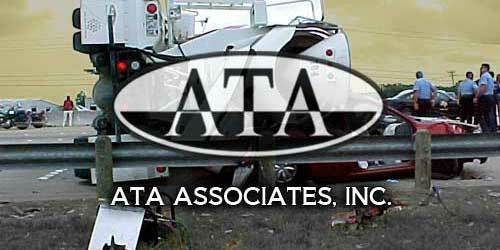 In the interest of supplying our clients with enhanced services, the ATA Specialty Teams are assemblages of seasoned experts associated with our company that work in a variety of areas that cover the wide spectrum of factors and eventualities that arise during the course of an accident investigation. In addition to performing the functions of accident reconstructionists, ATA serves as an investigation coordinator, utilizing our network of associated experts to serve our clients in the best, most efficient way possible. Additionally,we have full production capabilities to provide high quality multimedia graphics and demonstrative materials, including nearly 30 years of producing outstanding 3-D animations. What this all adds up to is that ATA Associates is truly a comprehensive "One Stop Shop" for complete accident reconstruction, testing, technical analysis and multimedia services. ATA's "Back to the Basics" concept offers clients the opportunity to collect and preserve crucial evidence in the initial investigative activity. The data collected is selected so that detailed analysis can be completed in the future if required. We have found that as a project evolves, elements that might not have seemed critical at the beginning of the investigative process can become crucial later. 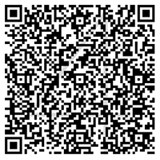 Years of experience have allowed ATA to outline services necessary to best serve our clients and their best interests. The method of collection minimizes the initial investigation costs and maximizes the quality of collected data. Click the link above for more details. ATA has long advocated the necessity of quick response and appropriate evidence preservation. We are committed to helping our clients protect the integrity of their cases while saving resources. We can strategize together to identify your most immediate and important engineering needs.